In this revised second edition, Pepper includes techniques, photographs and technology from the very latest vehicles. 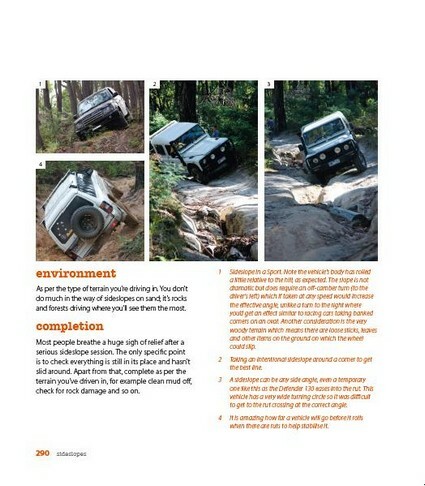 This second edition also includes new chapters regarding off-road towing, choosing a vehicle and driving unfamiliar vehicles. This guide also provides comprehensive explanations of how to get yourself out of trouble — always a possibility when exploring challenging terrain — with detailed chapters regarding recovery techniques. Robert Pepper is a freelance motoring driver trainer based in Melbourne, specialising in offroad vehicles and navigation. He has had over 400 articles published in 16 magazines and newspapers in Australia and around the world and has twice judged the annual awards for Overlander 4WD magazine. Robert is closely involved in the 4WD club movement at several levels from leading trips ranging from day journeys to outback treks, organsing events such as abandoned vehicle recovery days and helping form responses to industry and government changes affecting offroaders. Robert is also a senior instructor with 4WD Victoria, and has rewritten the basic training course, created a towing course and written an advanced vehicles course from scratch. 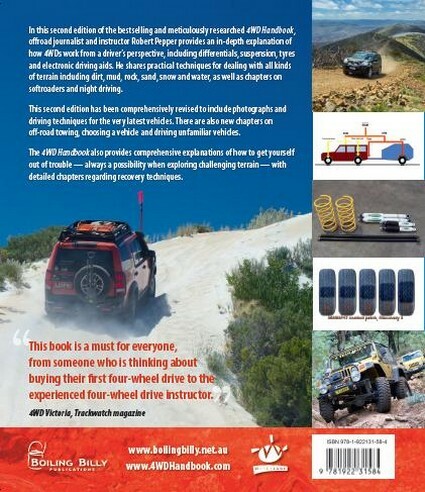 He also trains commercially, and has contributed to and reviewed the Australian national 4WD training standards. Prior to his involvement in offroading Robert was a private pilot with an interest in aerobatics. He has an interest in most things with wings, wheels or sails. Only 100 pages in but has definitely increase my knowledge about how 4wds work immensly. Im currently wanting to get into the scene and this book has given me plently ideas of how i want to set up my vehichle just by explaining how things work and what is ideal. Highly recommend for a newbie wanting to know more, website articles are good and watching videos but this book has much better information. What a driver needs to know.?? Differentials, gearing, suspension, power, torque and more. New vehicles have ETC, ESP, HDC, EBA, EBD, terrain-adaptive settings, torque-vectoring differentials and many more electronic driving aids.?? All are explained in a specialised chapter and referred to throughout the book. A softroader is an offroader without low range. Theres a dedicated chapter on softroaders, and each chapter accounts for techniques without low range. Offroad towing Towing and manoeuvring trailers in difficult, low-range conditions. Comprehensive discussion of what loads are involved in recovery using both theory and the results of real-world tests. 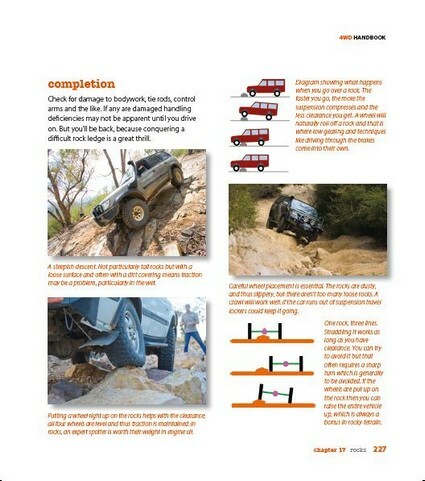 Winching Detailed description of winching physics, forces involved, how to winch, types of winches. 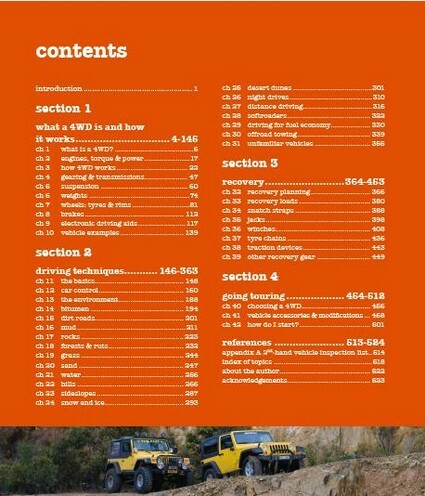 A comprehensive list of modifications and accessories for a touring offroader with notes on why you?? ?d need it, what to look for, and how it works. Pros and cons of the major types of 4WD for offroad touring, and features you absolutely must have in a 4WD.